“Nnamdi Kanu is a foolish, useless, stupid and jobless man, he has no handwork or meaningful means of livelihood, he is a drug addict bent on destroying the Nigerian government and threatening her unity, a Lilliputian and an opportunist from Afaraukwu Ibeku,” these and more were the opinions of some ill-informed and ill-educated persons in Nigeria though some have come to change their opinions about him with the recent events unfolding in the country. I have no reservation for them because they are entitled to their opinion and freedom of speech as contained in the Nigerian-military constitution. Good morning to undiscerning politicians and to Nigerians in general. Whatever name you wish to fetch him with, one thing is certain – he saw tomorrow. His heroic achievements is overwhelming. First, he is the reason for the second time in the history of Nigeria, the whole north visibly expressed their mindset about the lgbos in their quit notice declaration in June 2017(after 49 years) since the Nigeria-Biafra war. Secondly, the hoax called the Nigerian nation and its botched unity was evidently exposed by Nnamdi Kanu. The world which was falsely made to believe by British and Nigerian governments, that the basis for unity in Nigeria exists through football has woken up from this misconception. They have come to realize that the only uniting force in Nigeria is corruption – that’s the only time the political class will agree on one thing. Thirdly, he was the only prophetic voice that foretold the irrational and wanton killing of innocent citizens by rampaging herdsmen in the Middle-Belt and elsewhere in Nigeria. Had it been that the people listened, they wouldn’t have faced such brutal and mindless decimation. He gave enough hint of the Islamic agenda of the North for Nigeria to be wary of their devious intentions. He made Ohanaeze Ndigbo suddenly embrace "restructuring" which its leader, Nnia Nwodo and all other self-acclaimed saboteurs are now propagating as an alternative and a means to dousing tension in the polity. He, in the same vein, crippled Ohanaeze by proscribing the organization for betraying and sabotaging the general interest of the people. He revived and transformed the Biafra national consciousness. Unity that was at arm’s length, returned to the ancient kingdom, Biafra. Something the supposed elites/leaders couldn’t achieve for 49 years, he accomplished that in two years. 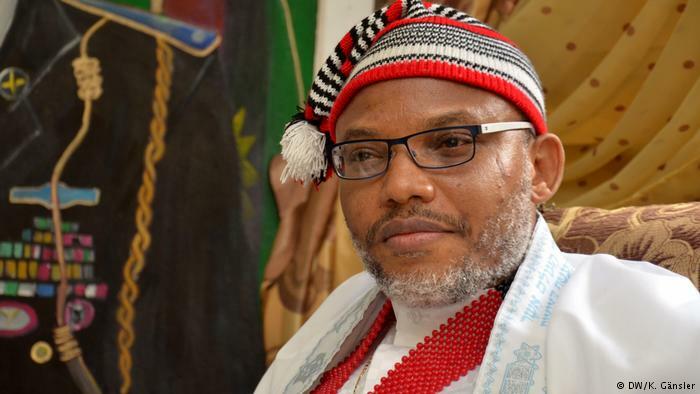 What a dedicated and determined freedom fighter, unflinching in his resolve to restore the Biafran nation. His most glorious achievement is that he made the Biafran populace observe every 30th May of every year to relieve the brutal and harrowing experience of the genocidal war against Biafrans. Named "Biafra Heroes' and Heroines' Remembrance Day," was a day to consider the great inhumane act unleashed on humanity in West Africa. A day to sit at home to reflect and mourn for our heroes, children and elderly people who got consumed by the silent genocide perpetuated by the world against the Biafran nation. This is the best gift Nnamdi Kanu gave his people to keep the Biafra national consciousness alive. Onyendu, l salute you wherever you may be. Even as you are physically not seen by the people, your might is felt across the country. Our elders often say that any man whose name is always found in the lips of men, has done something heroic. You are a hero indeed. Your people, the Biafrans, will not rest or relent in their mission of expanding, growing and making steadfast the national consciousness that was instigated by you even in the face of multiple intimidation, frustration, subjugation, oppression and sabotage. Our resolve like yours, our great leader, will forever remain unbroken. Indeed, you are a success to your people and the oppressed in Nigeria. Remain blessed, the man of the people.